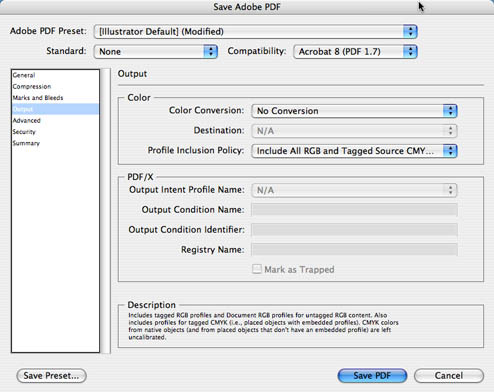 We can accept files from Adobe Illustrator CS5. For printing to Card, Paper, PVC, Self Adhesive Vinyl use you normal CMYK document colour space. For printing to Fabric and if your document contains RGB images then use RGB as your document colour space, but only if you have RGB colours or images in your document. If you require colour matching to Pantone Colours on fabric then for best results we will need to be able to change the colours in the file. 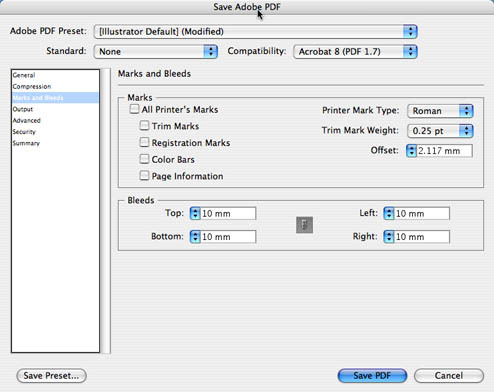 If you supply a flattened PDF file we can not change the colours in flattened areas, such as the colour under a drop shadow. 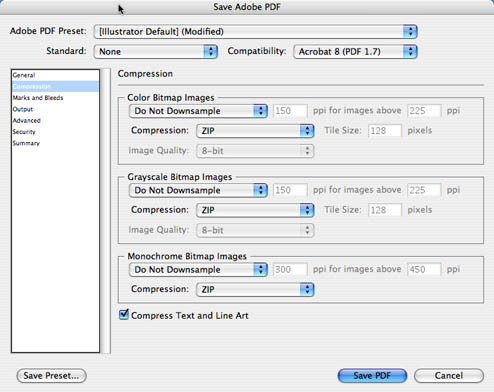 In this case please supply either an Unflattened PDF file or the original Illustrator file. 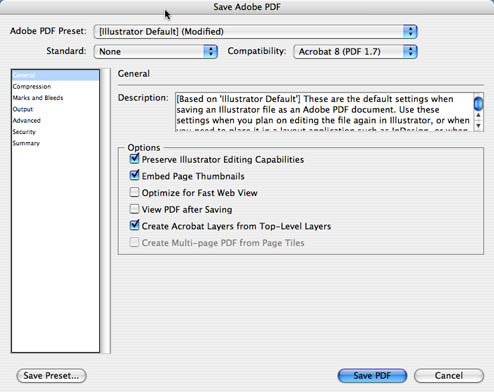 If your document contains Transparency please supply the original file or an unflattened PDF as per 3.2 below.